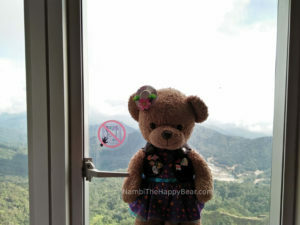 If you are a bear living in Malaysia, surely you would have heard about Genting Highlands Malaysia. This time, my papa and mama decided to visit Genting Highland for a short vacation. The first time they went there was about five or six years ago and Nambi wasn’t born yet. Read about the origin of Nambi here. Actually, the real reason mama wanted to go again is because she heard about a new premium outlets there. Nambi is so happy to help her carry the shopping bags! This trip turned out to be so much fun! My mama is a shopaholic. She keeps on buying clothes, bags and other random stuff almost everyday. 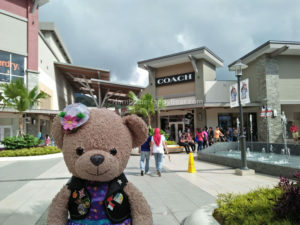 She was so happy and excited to visit the Genting Highlands Premium Outlets. 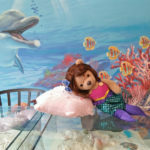 Why there is no Build-a-Bear Workshop there? But then I overheard papa talking about the Godiva Chocolate shop over there. I was so excited and can’t wait to try their Godiva Chocolate ice cream! Back then in Regent’s Street, London, I remembered seeing tourists in a long queue for Godiva’s soft serve ice-cream. This time, I finally get to try it, yay! There were a lot of shops inside the outlet mall. The place itself is an open air area. Being located on the hill makes it a very nice place to spend a day shopping, walking around, having coffee or just chilling around. 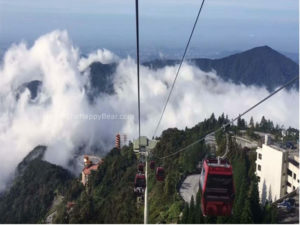 You could come here to enjoy the cool weather if you do not wish to travel up to Genting Highlands Malaysia. The weather is beary™ nice, a lot cooler than the typical weather in KL city center. I’m not bothered by the low temperature because I’m a bear with a lot of fluffy fur. Mama seemed to be the one who enjoyed this place most. She visited lots of shops, tried on many bags and makeup products. She got her favourite Chloe perfume (70ml bottle) at a very cheap price from SASA at only RM340. The regular price was about RM450 at the KLIA2 duty free shop. Mama also bought a new pair of trainers from Adidas and it was only RM185! My mama had gone crazy, papa and I just followed her and helped her carry those shopping bags. Nambi and papa wanted to continue the uphill journey to our hotel at First World Hotel and Plaza, Genting Highlands before it gets really late. My clever Mama had to use one last trick to make us stay a bit longer at this shopping heaven. She led us to the Godiva shop and made papa queue up for a chocolate soft serve for me! Yaay!!! I was so happy but then I asked if papa and mama wanted to eat too? Why did mama buy only one? Mama said three of us will have to share one ice-cream because mama spent all her money on the shopping already! Arrrrrgh this is not fair, sharing is boring! 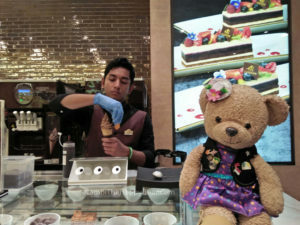 In the end, I chose to go with the dark chocolate ice-cream, which tasted beary™ good, I loved it so much! I don’t know if you guys feel the same, but bears like to enjoy their ice-cream in a cold weather. I felt like having another cone but I didn’t have any teddy pennies left in my purse. It was getting darker now and we really had to continue our journey up Genting Highlands as driving up at night is considerably more dangerous. Papa booked a room at the First World Hotel for us tonight. 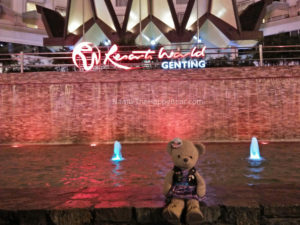 This was my beary™ first time staying in Genting with my papa and mama. Papa said there were lots of restaurants, cafe and fun things for bears to do up there. I was all hyped up for tonight! On our way up, I managed to spot a couple of cable cars. 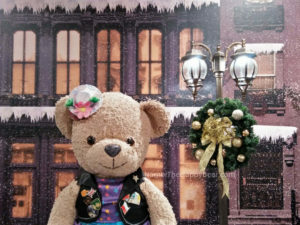 Papa told me that the cable car will carry bears and people from the Awana SkyWay to the SkyAvenue Station at the new SkyAvenue Mall (level 4). 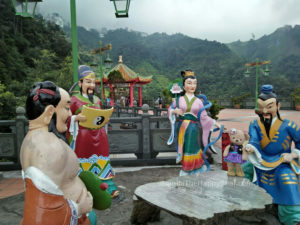 Before going all the way up to Genting Highlands Malaysia, passengers can also embark and disembark at the Chin Swee Station for those wanted to see the Chin Swee Cave Temple. Different from the ones I have seen before, these gondolas have a glass-floor! Later I learnt that there are two different types of gondolas in Awana Skyway: the Standard Gondola that can fit 10 passengers and the Glass-floor Gondolas that can fit 6 passengers. Nambi would like to try the one of the 10 exclusive glass-floor gondola someday, hope there is no height requirement to ride the gondola. Tickets for the Standard Gondola are RM8 per person, tickets for the Glass-floor Gondolas are RM50 per person, bears ride for free. If you are in a hurry, express boarding pass is available at RM40. Operating hours is 7am – 12am daily. After arriving at First World Hotel and Resort in Genting, papa checked in at one of the self-check in machine. There were a hundreds of these self-check in machines at the lobby. This was amazing, I’ve never seen any hotel having such an advance system before but I immediately understood why they need it. There were millions of guests in the hotel lobby, oh my goodness! Papa decided to pay RM5 extra in order to get a room with mountain view and then he took me and mama to our room .The room was very basic and had no air-con. I guessed we didn’t need it because mama was now feeling so cold and tucked herself in the blanket right after entering the room…haha. Nambi felt absolutely okay whilst wearing a sleeveless dress on that day, thanks to my abundance of bear fur. Papa put on his fleet jacket and tried to drag mama out of the bed. Yes! We were finally going out to have our dinner! Since the 1st of June 2017, the Genting First World Plaza has been closed to make way for the new Twentieth Century Fox World. Now, SkyAvenue is the next cool place to hang out. This huge four-storey shopping complex is made up of a new Sky Casino, a Picture House Cinema and hundreds of shops, restaurants and cafes. We took a stroll around SkyAvenue surveying their variety of restaurants, however my mama just couldn’t make up her mind. I was so, so hungry that I could eat my bear paws already! Mama said in this cool weather she preferred a bowl of hot soup noodles. I saw millions of people queueing up in front of Burger & Lobster, a beary™ famous restaurant from London. I remembered having their lobsters and lobster rolls in London for a couple of times and it was so good. I wanted to have Burger & Lobster again but mama insists on having hot soup noodles. We have to listen to mama, she said noodles then we were gonna eat noodles hmm! A few hours later, Mama finally decided to have dinner at a Japanese restaurant named Tampopo Ramen. Besides ramen, you can get delectable udon or soba here too. Papa as usual, got himself a teriyaki chicken rice set. Meanwhile, Mama ordered a bowl of fried chicken ramen. Mama’s ramen was actually quite photogenic haha, they put a small grill on one side of the bowl and then put a piece of fried chicken on that grille. This is quite thoughtful, when you eat your ramen, the fried chicken would stay dry and crispy all the time. 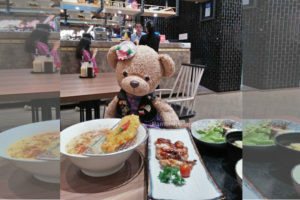 We had a great dining experience at Genting Tampopo Ramen. 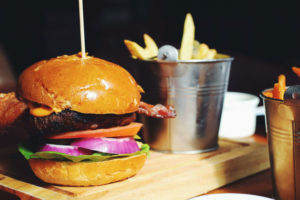 The food is delicious, the service is excellent and the price is also quite reasonable. Papa got a special discounted rate because he has a Genting Rewards Card. 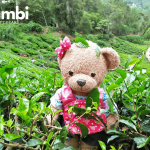 Nambi would definitely return to this place on our next visit to Genting Highlands Malaysia. After dinner, it’s time for dessert. Believe it or not, there was a super long queue in front of the Street Churros at SkyAvenue …arrrgh… As usual, I had to share everything with papa and mama again but that’s fine as I don’t normally eat a lot too (though I look fat hahaha). Hee hee. The menu at Street Churros is quite simple. You can choose from 3 types of Churros: the Street Churros, the Filling Churros and the Ice-Cream Churros. Mama picked the Street Churros with Cinnamon flavor, served with Chocolate dippings. If you do not like Cinnamon, you could also get the Chocolate or Cheese flavors. Other dippings available were cream cheese, butterscotch and blueberry. 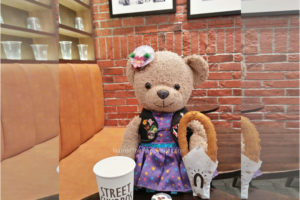 Nambi’s favorite was the Filling Churros which comes in 3 flavors: Chocolate, Cream Cheese and Custard. However they have sold out and Nambi can only make do with the Cinnamon Street Churros bought by mama. There are plenty of spaces where you can sit down and enjoy your Churros with a cup of coffee. The ambience is top-notch and my papa appreciated the pit stop to rest his tired feet after walking around for hours. As usual, if you flash your Genting Rewards Card you will be entitled to a special discount with your Churros. Just as the clock struck 9 o’clock, we managed to watch the ever popular Sky Symphony Show. It is an hourly free-to-public performance happening right before the entrance to the Sky Casino. We were treated to a spectacular display of lights, music, and kinetic. One can only imagine the amount of planning and technology to come up with such a beautiful show. The audio visual were powerful, while the hundreds of lights moved in harmony. At one point, Nambi felt inspired to dance to the music, and so I did lol. If you want to see my dance performance, follow my Facebook here. After the show, it’s Nambi’s favorite time: Free and easy photoshooting. Tour The World With Snoopy is happening right now from 1st November 2017 to 1st January 2018. There will be 52 Snoopy figurines in different world costumes! They all stand at different locations at the SkyAvenue and the First World Rainforest. 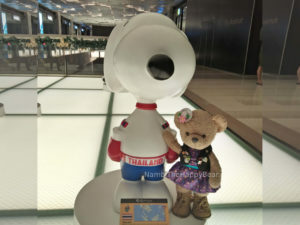 Nambi was so excited to hunt for the Thai Snoopy and Malaysia Snoopy. Can’t wait to share the pictures with all my bear friends on the social media! Supposingly we could catch daily appearances by Snoopy, Charlie Brown, as well as Santa Claus and his Christmas helpers. We were not able to see that, I guess the timing wasn’t right during our visit. Hope you guys have better luck! After I got all my photos, mama and papa decided to call it a day and we went to back to our room for a good night’s sleep. The next morning, mama woke up very late. By the time she got ready, it was already 11am! In First World Hotel Genting, the latest check out time is 11am. So we decided to check out and put our luggages in the car, before getting our breakfast. Mama was again looking for a bowl of hot soup noodles. We had a look at the menu of many restaurants in Genting Grand but none can satisfy mama. Finally we decided to check out the Genting staff food court. Hidden away near the visitor’s carpark and the staff hostel, this food court is usually patronized by the staff working in Genting. The food court is small and clean, food there is reasonably cheap but do not expect too much food choices. Mama got herself a bowl of pork vermicelli noodles, while papa got himself a plate of economy mixed rice. There were no air condition over here, however the cool air from outside was sufficient and comfortable. Unfortunately, some of the customers started smoking and polluting the air, so we left soon after. There was a convenience store beside the food court selling food and drinks at a very reasonable price. We wished we have found out about this place sooner because the convenience stores near the hotel lobby charges exorbitant prices! What a shame. After our stomachs were full, we went in the Sky Casino. At the entrance, I got stopped and inspected by the security officer on duty. The officer told me that I was not allowed to enter the casino. So I had to wait outside while my mama and papa went inside the casino. This is too cruel. 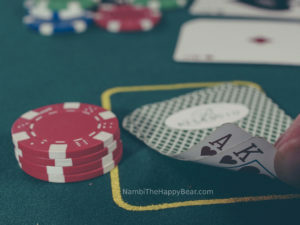 I heard you can double your money easily in the casino. This is the reason why many humans flock to Genting Highlands Malaysia. I have also heard about the free flow drinks you can get inside. Why wouldn’t they let me in? I promise I am going to behave myself next time. Later I found out that you have to be over 18 years old to enter. 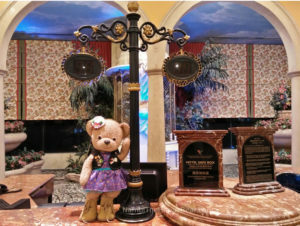 Since I was not allowed entry to the casino, I thought why not head over to the arcade area. I was proven right because this place was much better than the casino. While we were there, I managed to try a few of the kiddie rides. 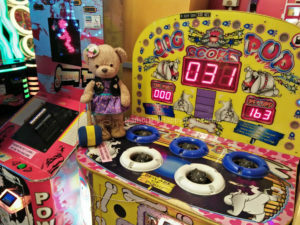 I even played the Whac-A-Mole game. However, papa is trying to turn the game into Whac-A-Bi game. Don’t want, papa! After that, Papa and I team up for a shooting game where we shoot the evil bear overlords at the screen. That was fun. Mama wants to play the basketball shooting game but we ran out of credit and were too lazy to top up. Many human kids roam the area, good thing they were mostly preoccupied with their arcade games and do not come to disturb my peace hehe. We left Genting Highlands at 1 o’clock in the afternoon. The downhill slope was dangerous therefore papa drove very slow and steady, so were the other vehicles around us. On that day, we decided to make a stop at the Chin Swee Cave Temple for some pictures. The Chin Swee Caves Temple is a Taoist temple located on a sharp, rocky slope just 5-10 minutes from the peak of Genting Highlands. This temple was dedicated to the worship of Reverend Chin Swee. You can easily reach the temple by the Awana Skyway or by road. Upon arrival, we were greeted by a magnificent nine-storey pagoda called the Sky Terrace. Further into the temple, we were marvelled by the 15-metre tall Buddha statue. The temple was very popular with the tourists. We had to wait for 20 minutes for a picture with the Eight Immortals’ statues. While waiting, we enjoyed the breathtaking scenery. I thought this was a good place to meditate and revel in the wonders of mother nature. This reminds me of the bears’ natural habitat. I especially enjoyed the journey to “Ten Chambers of Hell” according to ancient Chinese traditions and beliefs, a series of statues reenacting the tortures of hell and the enlightenment of heaven. “Do bears go to a special bear heaven too?”, Nambi ponders, however, there is no easy answer to the question. Later we found out that the temple was built by the late Mr Lim Goh Tong, the founder of Genting in 1976. The site was chosen because it reminded him of his birthplace in Fujian, China. The temple took 18 years to built due to the harsh terrain, and it finally opened its door to the public in year 1994. Today the temple no longer pays sole homage to Chin Swee, but also to Buddhism, Taoism, Shamanism and Confucianism. Now Nambi understands why there were various deities around the temple compound, some taking the form of stone statues and sculptures, others in interesting paintings, shrines and altars. 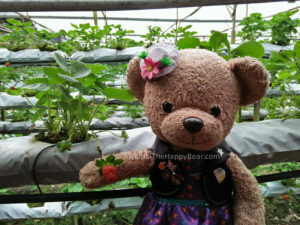 Our final stop was the Genting Strawberry Leisure Farm. Located at Bandar Gohtong Jaya opposite the Gohtong Sports Centre, this is not your ordinary strawberry farm. Instead, it was a strawberry farm, a lavender farm and a big garden of flowers rolled into one. At the entrance, we were greeted by a giant-sized strawberry chocolate fondue fountain minus the chocolate. Tickets for adult humans were RM10 per entry, while bears enter for free. Once inside, papa and mama headed straight for the lavender farm. The lavender smelled soooo good, just like the lavender tea that I always drink. While the official photographer was busy taking photos for my mama and papa, I went into the lavender bushes and covered myself with the sweet fragrance of lavender flowers. Nambi will not shower for the next 2 weeks so that the smell will stick to my fur kikiki. Next, we went to pick the strawberries. My hands were too short so mama had to carry me to the strawberry plant but I got to pluck it with my own paws. Arghhh my first hand-picked strawberry was so sweet and juicy, awesome! If you want to pick your own strawberries, the fee here was RM8 per 100g. After that, we saw many beautiful flowers in the leisure farm. I was able to name a handful of them. There were Gerberas, Roses, Hydrangeas, Gomphrenas, Geraniums and Begonias. The Hydrangeas were about the size of my head omg. The Gerberas and Roses bloomed in all kinds of colour you could imagine! They even have some rare plants such as the Pastel Blue Jade Vine, the Red Hot Cat’s Tail and the mindboggling Abutilon megapotamicum. Near the end of the tour, you could buy some flowers and cactus if you feel like it. Mama and papa also bought me a cup of strawberry ice cream but I did not like its taste. 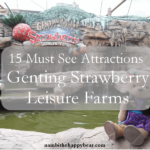 Although the strawberry ice cream was pretty bad, our trip to the Genting Strawberry Leisure Farm was definitely the highlight of the whole Genting Highlands staycation. Our recent trip to the Genting Highlands Malaysia was a very enjoyable one. I will definitely pay this place a visit again, when the 20th Century Fox World theme park starts operating in 2018. This theme park is going to be the first of its kind in the world, and I can’t wait to become the first bear to experience the theme park! See you next time, my bear friends. 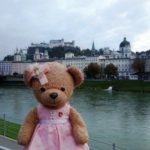 Dear bears, welcome to my blog. 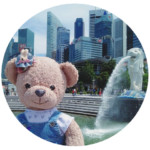 Follow my footprints as I travel the world and eat delicious food with my mama and papa.